In an article in Fast Company, entitled “The Secrets of Generation Flux,” Robert Safian writes that in these uncertain times, there is no single recipe for success. 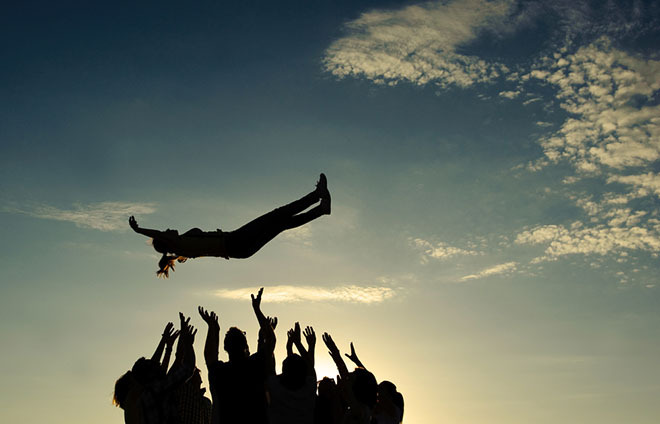 Safian profiles a number of leaders who have been relatively successful at riding the waves in different ways, and notes that they are all relatively comfortable with chaos, trying a variety of approaches, and to a certain degree letting go of control. This resonates with our experiences at IISC helping people to design multi-stakeholder networks for social change. 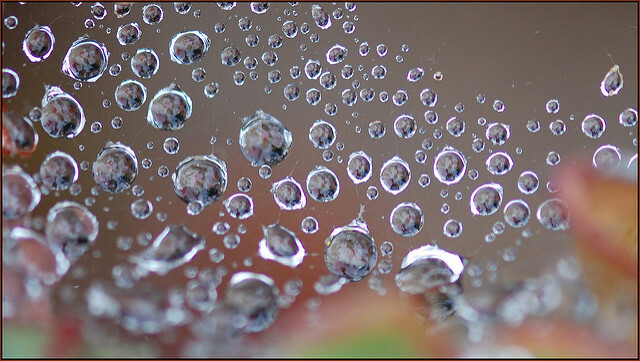 For example, even in a common field (food systems) and geography (New England) we witness different forms emerge that suit themselves to different contexts, and at the same time there are certain commonalities underlying all of them. The three networks with which we’ve worked that I want to profile here exhibit varying degrees of formality, coordination, and structure. 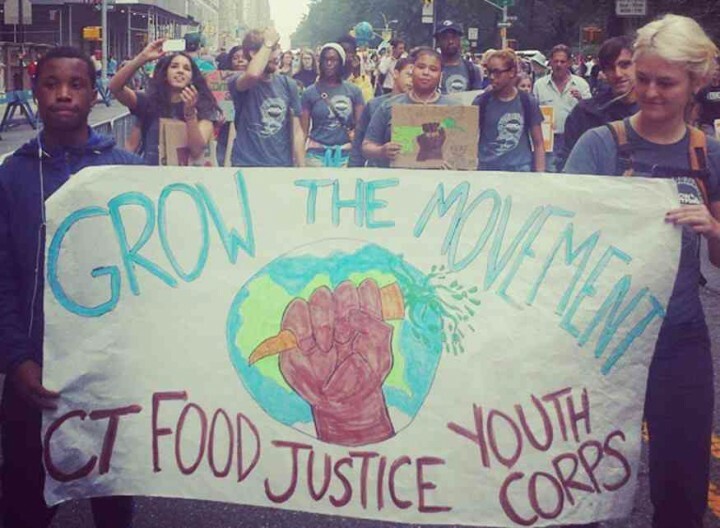 All are driven by a core set of individuals who are passionate about strengthening local food systems to create greater access and sustainable development in the face of growing inequality and climate destabilization. They vary from being more production/economic growth oriented to being more access/justice oriented, though all see the issues of local production and equitable access as being fundamentally linked and necessary considerations in the work. The Farm to Plate (F2P) Initiative, was approved at the end of the 2009 Vermont legislative session and directed by the Vermont Sustainable Jobs Fund, in consultation with the Sustainable Agriculture Council and other stakeholders. Its initial charge was to develop a 10-year strategic plan to strengthen Vermont’s food system. This was done over a 2-year period with input from hundreds of stakeholders from around the state. The Farm to Plate Network officially launched in 2011, borrowing heavily from the structure of the RE-AMP Network in the Midwest, an effort to address climate change. The structure was fairly well defined in advance, given F2P’s mandate from state government to double production and the clear need for coordination around the Network’s robust strategic plan and 25 goals. It currently features standing Working Groups (WG) organized around associated pieces of the strategic plan with flexibility to add and adjust. Working Groups may form any number of Task Forces (TF) in order to implement various strategies and high impact action projects, at the ground level. Pre-existing multi-stakeholder groups may serve as logical TFs within a given Working Group. TFs meet as needed and are created and disbanded as needed. In addition there are Cross-Cutting Teams (CCT) focused on topics such as Food Access, Policy, and Research and Funding. It is at the WG and CCT level where most of the “action” happens, taken from a 15,000 foot view to help coordinate and fill gaps on the ground. A Steering Committee comprised of members of the Working Groups and others “holds the whole” from more of a 30,000 perspective, trying to maintain as broad a view of the food system as possible. There are a few paid staff who support the Network through weaving, communications, coordination and the like. The Network has also launched a “Food System Atlas” showcasing stories, videos, job listings, news, events, resources, the Strategic Plan and organizations that are strengthening Vermont’s food system. The story of the Rhode Island Food Policy Council revolves largely around the Southside Community Land Trust, an urban land trust that has been an agent for community food security, providing land, education, tools, and support for people to grow food for themselves in greater Providence. SCLT applied for and received funding from a few local foundations to facilitate the collaborative efforts of a multi-stakeholder Design Committee to develop a vision and mission for the future RI Food Policy Council (RIFPC) and determine the Council’s structure, membership and by-laws. 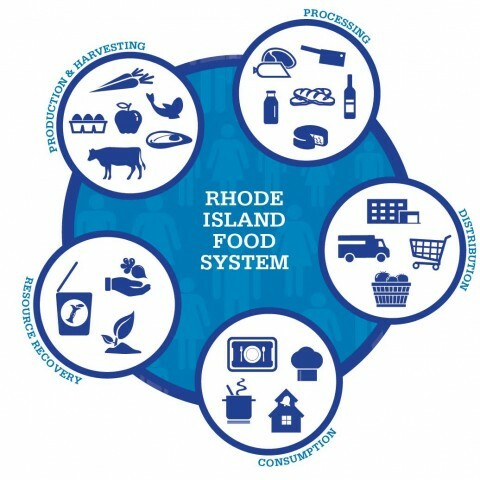 Unlike the process in Vermont, the Design Committee refrained from engaging in a full-fledged strategic plan and instead enlisted the services of Karp Resources to conduct a comprehensive Community Food Assessment of Rhode Island to provide a baseline description of the state’s food system and identify priorities for the RIFPC and other stakeholders working to increase community food security. The decision was also made to formally remain separate from any state entity, while building connections to the Agricultural Partnership and recently formed Interagency Food and Nutrition Policy Advisory Council. With an eye towards inclusiveness and nimbleness, the Design Committee created a structure that now features, five Work Groups focused on the core visionary goals of the RIFPC: Access, Economy, Environment, Health, and Production. These Work Groups were launched in a very open public meeting, with people essentially voting with their passions, and they have continued to welcome newcomers. No formally established goals or strategies were handed over to the Work Groups, so as to let them find their own footing and interests under the overarching visionary goals. The core elected group of Council members has as part of its role to provide support and high level guidance to these Work Groups. Part-time paid staff support exists for a network coordinator and communications expert, both of whom help to maintain an evolving website. The Council is trying to balance the need for more of a centralized function around advocating in a timely way for policies impacting the food system, with an ongoing openness and fluidity to its public meetings and Work Group activity. A key feature of its public engagement is a series of ongoing community meals and discussions about the food system. The Connecticut Food System Alliance was created by food system advocates from around the state coming together from time to time to discuss and share information. Gradually, desire grew to have more than just an annual gathering. With limited funding, a core “design team” came together to think about how to create more grassroots momentum that would complement the Governor’s Council for Agricultural Development, which is spear-headed by the Commissioner of Agriculture and is broader in scope than food systems and security. Over the past couple of years, this design team has pulled together a number of large and diverse convenings of people from around the state to get to know one another, to “close triangles”, share insights and talk about how to create more significant and shared value. This has taken the form of an “alignment network,” uniting under what is now a shared vision and guiding values, and connected by a listserv. Through the use of Open Space participants in CFSA have identified key areas of inquiry and action they want to pursue. Examples include a pilot project tackling food insecurity in one town to strengthening farm-to-institution efforts to growing and diversifying network membership, to exploring the root causes of what ails the food system. Volunteer facilitators have stepped up to lead “sub-networks” and the volunteer design team has morphed into a larger Steering Committee to provide support to these teams and organize future gatherings. The Steering Committee has initiated a program for giving mini-grants (maximum $1000) for the purpose of network-building among Connecticut’s food system stakeholders. None of this is to say that any of these approaches is more “right” than the other. Each has its benefits and challenges, and each fits its particular circumstances. All are open to changing as context demands. 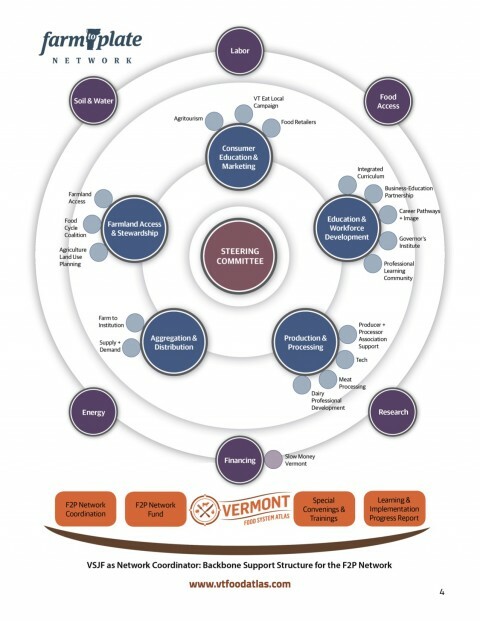 From one perspective we might see the VT Farm to Plate Network as the most formal and structured with the CT Food System Alliance as the most fluid and emergent, and the RI Food Policy Council as lying somewhere in-between. The differences are important to note, as are some of the likely underlying contributing factors such as funding, location, partnerships, tangibility or simplicity of outcomes, diversity of stakeholders, and the existing eco-system of actors and initiatives in the system. 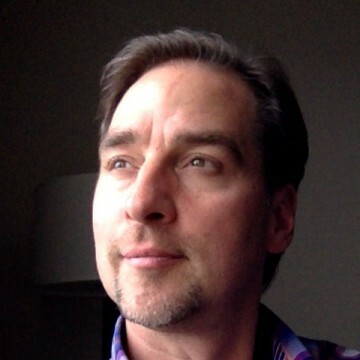 There is an awareness that to the extent that there is a network “center” it is about being in service of and helping to connect the whole, as well as bring in the “periphery;” there is an emphasis on contribution and creating value over deferring to credentials and the usual suspects; people lead with a spirit of openness; and there is an overall effort towards growing the pie, not just carving it up into smaller pieces. And there is certainly a developmental trajectory to engaging in net work, as evidenced in these and all network initiatives we’ve supported, such that trust-building, transparency, and generosity are always works in progress. This is what forms the intangible and enriching ground of these and other forms that will hopefully help create real and necessary change. Thanks for this Ogden. I’m especially interested in learning more about what conditions enable the least-structured networks begin to cohere & have impact. And I love your summary of the network ethic. Thank you for sharing these descriptions and reflections Ogden. Considering the different approaches and uses of structures is interesting, and even more so when you highlight that a network ethic is common to all of them. I’ve been contrasting the different propensities to formality and structure (or not) of two groups of residents I’ve been working with in two different kinds of neighbourhoods. Like Christine, I love your summary of the network ethic. It resonates with the work I am involved in with residents and offers a connection between approaches which look and feel quite different otherwise. It also feels a useful combination of ideas to help make a distinction between ‘engagement’ through mechanisms such as local government led partnerships (which we’ve had a plethora of in the UK) and activity which is more co-productive in nature. It was your mention of growing the pie which prompted this reflection. I feel as though there are many professionals in public sector organisations trapped in a way of working which places expectations on them to give time and energy to partnership arrangements in which they are trying to secure a piece of pie the government has put on the table for the usual suspects to share. No-one seems to contrast the size of this tiny shared pie to the enormous pies they have delivered directly to their organisations (as it were) and ask whether they are focused on the right thing. Because then a layer of strategy and plans and consultations with ‘real people’ get added and it must be difficult to step back. The thinking behind the network ethic you have so eloquently described doesn’t seem to be part of these sorts of activity. I was also heartened that you said “trust-building, transparency, and generosity are always works in progress”. Again this brings to mind a group of residents I am working with. One moment we seem to all be in the same wonderful, supportive place, and then suddenly things change and generosity all but disappears. It’s incredibly helpful to think of these characteristics as fluid and requiring constant attention, thank you.